NORMAL – Normal’s Unit 5 School Board unanimously approved putting the fate of a $96.7 million building referendum for construction of one middle school and two new elementary schools, as well as to pay for upgrades to older elementary schools, in voters’ hands in February. In an effort to raise $96.7 million to pay for the construction of three new schools, as well as pay for renovations to eight other Unit 5 schools, the board voted unanimously to ask the voters, first, if they wanted such buildings to be built and/or renovated; and secondly, if the voters would be willing to approve a property tax increase to pay for the construction and renovations. No work will be done to any of the community’s three junior high schools, or to its two high schools. Unit 5 looks to construct a new middle school and two new elementary schools, as well as make renovations to eight elementary schools with the money from the property tax increase. The projects have a total price of $96.7 million. As a result of the proposed increase, the owner of a $200,000 house would see a jump in their tax bill of about $170 above what they are paying now. Under the District’s proposed timetable, the two elementary schools would be up and running by Fall 2010, as would a renovated Sugar Creek Elementary. The proposed new middle school would be scheduled to open by Fall 2011. Voters will have two questions to decide when stepping in the voting booth on Feb. 5. Of the $96.7 million to be spent, $82.1 million would be strictly building construction costs. The remaining $14.6 million would be equipment costs. Under the district’s proposed timetable, the two new elementary schools would be up and running by Fall 2010, as would a renovated Sugar Creek Elementary. Those renovations would likely take two Summers to complete. The new middle school would be proposed to open by Fall 2011. Currently, Unit 5 has 12,460 students in 15 elementary schools, three junior high schools, and two high schools. District officials project that community growth will swell that number to 16,000 students by 2015 – the year the board has said they could be facing revisiting the renovating/construction question again after this. “Getting to this point has meant a lot of hard work done for the right reasons,” District Superintendent Gary Niehaus told the board and a packed audience at the District’s Hovey Ave. headquarters. “(There’s been) a lot of scrutiny when it comes to spending such money, but also, it’s not a situation of ‘build it and they will come’ – it’s because we will build because students will be here,” said Board Member Scott Lay. Board Member John Puzauskas told the gathering that nothing the board has done to get to this point was done “haphazardly.” He said the board has had to focus on the district’s anticipated growth in 2015. Board Member Mark Pritchett said voting in favor of putting the referendum on the ballot was part of continuing the District’s ongoing priority to put children first. On Dec. 5, Unit 5 board members will host a meeting at Bloomington City Hall Council Chambers to discuss a proposed property purchase with residents living near that property. That meeting is scheduled to start at 7p. m.
“Good News” From Towanda Elementary: In the first of three “Good News” items presented to the district, Adria Carter, a teacher at Towanda Elementary, was recognized for her efforts to promote the concept of reading for leisure to students. Carter developed a reading program called Reach For The Stars,” a space-themed campaign to get students interested in reading for pleasure. As a result of her efforts, the school’s 156 students racked up a total of 97,000 minutes with books in hands. “Good News” From Normal Community High: Normal Community High English teacher Jeanne Urbance was honored by the board for having become the recipient of the Illinois Institute of Technology’s inaugural “Outstanding Educator Award”. IIT interviewed high achieving students and asked them to talk about teachers who had strongly impacted them. One of those students, Jessica Fong, a 2007 NCHS graduate, told IIT that Urbance was instrumental in helping her to achieve personal and academic development during her high school career. Urbance received a plaque from IIT for her efforts. “Good News” From Normal Community West High: Mike Donnelly, School Youth Specialist at Normal Community West High School, was honored by his boss, West Principal Tom Eder, at the meeting. The position of School Youth Specialist was created as part of a proactive partnership between Unit 5 and Bloomington-based Project Oz, to assist students. Part of his work has involved conflict mediation, social counseling, and the development of various programs to help these students interact more positively within the school environment. Dec. 12 Meeting At Oakdale School: For the second time this school year, the board will hold a regularly scheduled meeting at a location other than district headquarters. On Wednesday, Dec. 12, the meeting will be held at Oakdale School, 601 S. Adelaide, Normal. As was voted on by the board last summer, there will be no meeting on Dec. 26. The board held its Nov. 14 meeting at Fox Creek Elementary School in Bloomington to help Fox Creek Elementary School’s having been named as a 2007 No Child Left Behind – Blue Ribbon School by the U.S. Department of Education. BLOOMINGTON – As the first quarter of the game between Normal West High and Bloomington Central Catholic High drew to a close, West owned a 14-9 lead until BCC senior guard Aaron Garriott hit a trey with 38 seconds left in the period, cutting West’s lead, 14-12. It was a play that foreshadowed how West’s evening would go in trying to keep Garriott from making a difference in the contest. But West defenders could not keep Garriott from scoring 18 points on the night, and leading the Saints to a 55-52 win over the Wildcats at the 37th Annual Intercity Basketball Tournament at the Shirk Center at the Illinois Wesleyan campus on Monday. Back-to-back buckets by Wildcats junior forward Troy Wells, followed by a layup from teammate junior guard Shauntrell Manney gave West (2-2) a fast 6-0 at the 6:50 mark. Senior forward Javon Bell followed up with a basket, giving West an 8-0 lead, forcing Central Catholic head coach Jason Welch to burn an early timeout with 5:13 in the first quarter. BCC (3-1) roared back from the timeout, scoring six unanswered points, starting with a trey from junior guard Tom Norton, cutting West’s lead to 8-6 with 4:12 in the first quarter. West held on to what would be their only lead in the contest, 14-12, at the end of the first quarter. BCC began the second quarter with a 7-0 run to overtake West, 19-14, led by a pair of baskets by freshman guard Hayden Hoerdemann and another Garriott trey. A West trey at 3:45 by senior guard Todd Albert would pull the Wildcats within one, 22-21. Following a defensive steal, West would own one of the few leads it had in the quarter on a layup by Bell, 23-22. 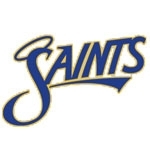 But a 5-0 run by the Saints, starting with a deuce by Garriott would give the Saints back the lead as they pulled out to a 29-25 halftime advantage. 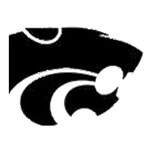 West’s second half began in much the same fashion as its first, with the Wildcats leaping to a quick 8-0 run, with West going in front, 33-29, courtesy of two baskets by Manney and a basket each from Bell and senior forward Matthew Paska. A Norton trey at 4:22 in the period pulled BCC within one, 33-32, but the teams exchanged the lead four times and had one tie before Central Catholic entered the third quarter with a 40-38 lead. West would trail through most of the last quarter, catching BCC twice to tie the Saints – 44-all and 49-all – but the Saints defense applied pressure keeping West out of the paint for much of the quarter. Hoerdemann’s basket with 1:50 left in the contest put the Saints up 51-49 and mandated West take a timeout to decide how to play their next possession. But Bell’s try at a three-pointer with 32.2 seconds left hit the back of the rim and came out again. BCC grabbed the rebound and senior guard Todd Albert fouled Garriott with 24.7 seconds left. In turn, Garriott’s two successful free throw shots put the game out of the Wildcats’ reach. BCC will share the Intercity Basketball title with Bloomington High School, as BHS defeated Normal Community, 66-43, in a game that began Monday’s action. “Aaron Garriott was the difference in the game, and hats off to him,” said Normal West head coach Brian Cupples following the contest. Garriott’s 18 points led all scorers on the night. He was followed in double-figures for BCC by senior forward Jeff Collier’s 15 points, and 11 each from Norton and Hoerdemann. Junior forward Jeff Walls’ 13 points led West’s double-digit effort on the night. He was followed by Manney’s 10. Three other Wildcats players had 8 points each. NORMAL – Becoming the newest member of a national board was not something Normal Town Council Member Sonja Reece went looking for. But with encouragement from members of the Illinois Municipal League, Reece applied to become a member of the executive board of the National League of Cities. At Monday’s regular council meeting, Mayor Chris Koos announced that Reece has done just that – and is now one of NLC’s 40 executive board members. IML members encouraged her to petition to join NLC, and follow that up by seeking endorsements from current and past NLC members. Those NLC members would then write letters endorsing Reece to be selected for membership in the organization. Reece said she has many contacts in other communities nationwide and asked them to write endorsement letters on her behalf to NLC. “I thought (NLC) would receive four or five letters on my behalf,” Reece said. NLC received 18 in support of Reece’s membership, she said. She told council members and those in Normal City Hall council chambers that, historically, it has only been mayors of communities who are asked to apply to join the group. Cable Rate Increase Approved: Prior to the start of the council’s regular meeting, a public hearing was held concerning a proposed rate change for basic cable television services requested by Insight Media Midwest. No citizens asked to be heard at the hearing. During the council meeting, an ordinance regulating Insight Midwest basic cable rates passed unanimously.  A motion to waive the formal bidding process and approve a resolution to authorize execution of an agreement with Tinley Park-based Resource Management Associates to perform testing services pertaining to the Fire Captain Selection Process.  A resolution conditionally authorizing consent to Phase I assignment of the redevelopment agreement with One Main Development LLC to Uptown One LLC.  A resolution authorizing the execution of a license agreement with One Main Development LLC for the property located at 104 W. North St. (formerly Babbitt’s Books).  A resolution authorizing the execution of a license agreement with Steinbach, Inc. for the use of the property behind the Medici Restaurant located at 104 Broadway.  An ordinance authorizing the 2007 Property Tax Levy.  An ordinance authorizing the Abatement of 2007 Property Taxes for Debt Service. NORMAL – For two seasons, Normal Community High School’s football team struck quickly, developing early leads using primarily a ground game to paralyze opponents. The result was a 26-game winning streak, including an Illinois High School Association Class 6A title in 2006. Joliet Catholic Academy (12-1) brought an end to NCHS’ winning streak Saturday, defeating the Ironmen, 45-13, in a fashion that almost mirrored the style of play NCHS had demonstrated for two seasons. Roughly 2,500 fans at Ironmen Stadium saw Joliet Catholic Academy close out the first quarter owning a 21-0 lead. Joliet Catholic Academy junior running back Tyler Hudetz’s 1-yard run at 6:08 in the first quarter got the Hilltoppers’ started, concluding a 7-play, 57-yard drive, followed up by a successful point-after by senior kicker Gabe Suhadolc, going in front 7-0. Following the ensuing kickoff and after NCHS (12-1) had the ball just two plays, the Ironmen fumbled the ball on their own 30 yard line. Joliet Catholic Academy took advantage of the muff, scoring again in three running plays, highlighted by a 5-yard touchdown run by senior running back Connor Krisch, for the first of the four touchdowns he would score against the Ironmen on the day. Following Suhadolc’s extra point, the score increased to 14-0 with 4:28 left in the opening quarter. The Hilltoppers increased their advantage to 21-0 following Hudetz’s second touchdown on the day on an 18-yard scramble run with 11.6 seconds left in the quarter, followed by another successful Suhadolc extra point. NCHS took advantage of a personal foul call against the Hilltoppers to get their first score of the day. The flag helped the Ironmen in their 75-yard drive, giving them first-and-goal at Joliet Catholic’s 5-yard line. NCHS senior quarterback Alex Buck marched into the end zone at 11:22 of the second quarter for NCHS’ first score of the day, topped off by junior kicker Chad Hinshaw’s point-after. That cut Joliet Catholic Academy’s lead, 21-7, as the Ironmen faithful in the standing room only crowd of nearly 2,500 cheered. After that score, however, both teams’ defenses took over the remainder of the quarter, with each team possessing then punting the ball twice before Joliet Catholic Academy kept possession of the ball for the longest drive of either team – 15 plays covering 84 yards, ending in a field goal by Suhadolc, giving the Hilltoppers a 24-7 lead with four seconds left until halftime. He said winning the game was “doable” by halftime, the Ironmen defense having restricted Joliet Catholic Academy to the field goal by intermission. And when NCHS had the ball to open the second half, things looked to be more than “doable,” as Buck marched the Ironmen down field from their own 20-yard line on short runs, until arriving at the Hilltoppers’ 10 yard line. But the only pass Buck threw during that series ended in an interception, giving Joliet Catholic Academy the ball at their own 15-yard line with 6:30 left in the third quarter. Venerable said he knew not scoring to conclude that drive would mean an uphill battle for his team for the rest of the game. Krisch’s 30-yard run into the end zone at 3:44 in the quarter capped 6-play, 85-yard drive, followed by Suhadolc’s extra point, increasing Joliet Academy’s lead, 31-7. Venerable called his team’s initial second half possession key to his team being able to get back into the game in the second half. NCHS senior return man Kennedy Freeman lost the ensuing kickoff, giving the ball right back to the Hilltoppers at NCHS’ 29-yard line. Four plays later, Krisch had another touchdown, this one from two yards out, to conclude a 4-play, 29-yard drive that took less than two minutes. Joliet Catholic Academy led 38-7, after the next Suhadolc extra-point. After going just 18 yards, on five plays, on the ensuing possession, NCHS’ punt wobbled and rolled to the Joliet Catholic Academy 1-yard line, sending the home crowd roaring their approval. But the Hilltoppers demonstrated their ground game, marching 99 yards into the end zone on 12 plays, chewing just over five minutes off the clock, scoring on a Krisch 3-yard run. Suhadolc’s extra point, increased the Hilltoppers’ lead, 45-7. NCHS senior running back Richard Dawson scored NCHS’ last touchdown of the 2007 season on a 28-yard run, but the extra point failed. “Give Joliet Academy credit for how they played early, especially Hudetz, for putting us in that hole,” Venerable said. Joliet Catholic Academy head coach Dan Sharp paid tribute to Venerable and NCHS after the game, saying, “I felt we were playing one of the best football teams we’ve ever played. Sharp went so far as to compare NCHS to one of the teams it plays regularly – and one of the teams the Ironmen beat to get this far – New Lenox Providence. BLOOMINGTON – Normal’s Unit 5 School Board went on the road for their regular Nov. 14 meeting. There was a very good reason for it, too – To help Fox Creek Elementary School’s having been named as a 2007 No Child Left Behind – Blue Ribbon School by the U.S. Department of Education. States and 19 schools in Illinois that was recognized with prestigious 2007 No Child Left Behind – Blue Ribbon School honors. Such honors are awarded to schools demonstrating high levels of academic achievement and progress towards closing the achievement gap. excellence demonstrated by the Fox Creek Elementary School community. Student achievement criteria that address academic success and improved educational performance are used to select applicant schools as No Child Left Behind – Blue Ribbon School recipients. A recognition assembly was held at Fox Creek Elementary School on Friday, October 5 and representatives of 2007 No Child Left Behind – Blue Ribbon Schools were honored at an awards ceremony in Washington, D.C. on November 12 and 13. A reception was held to celebrate the achievement prior to the board’s regularly scheduled meeting, held at the school gym. Robinson said the significance of Fox Creek Elementary receiving such an honor did not really strike him until after he left Washington. Fox Creek Elementary also received mention in the district’s “Good News” report to the board as well, specifically for its first Title I Family Reading Night event of the school year, called “Camp Read-A-Lot.” The event was held the evening of Oct. 4. Among the Fox Creek staffers and parents congratulated for their efforts in making “Camp Read-A-Lot” a success were: Title I Reading Teachers Carla Hansen, Jane Legner, and Lori Stevens; Second Grade teacher Lori Spencer; Fifth grade teacher Susan Layden; and Title I Parent Coodinator Terri Daugherty. Four parents were singled out for recognition, as well. They are: Sarah Cope, Christine Danner, Lisa Hoffbauer, and Jody Simpson. But that was not the only honor given to Fox Creek Elementary which was announced at the beginning of the meeting. Robinson also announced that fourth grade teacher Amy Schumacher received a $1,000 prize from Peoria’s WHOI-TV, as part of the station’s “Kids Count – One Class At A Time” program. In addition, for the second straight year, Robinson announced that the school had received an “Academic Improvement Award” from the Illinois State Board of Education. Expansion Costs Discussed: Board members were presented with the project budget involved in making the expansion of the district by two new elementary schools, a middle school, and having renovations done to existing facilities a reality. Mark Jolicoeur, representing Peoria-based LZT Associates, Inc., spelled out the project costs to board members, saying that using current dollar values, the district was looking at spending $96.7 million. Under the proposed timetable, the two elementary schools would be up and running by Fall 2010, as would a renovated Sugar Creek Elementary. He said the board should plan for such renovations to take two Summers to complete. He said the proposed new middle school would be proposed to open by Fall 2011. The board is scheduled to make a final decision at its Nov. 28 meeting whether to put a building referendum on the Feb. 5 ballot. Board Votes For “SchoolReach” Notification System: While trying to notify 12,000 parents in the event of an emergency sounds like a logistical impossibility, the board voted unanimously for purchase of a system that can do just that. The board approved the purchase of an electronic notification system from Fenton, Mo.-based SchoolReach. Unit 5 will have a three-year contract with SchoolReach at a cost of up to $129,000 for the contract period. SchoolReach’s product has the capability to contact up to 6,000 parents per minute through email and/or phone. It can be used for things like announcing snow days to notifying specific parents about matters such as athletic event delays and any school-wide crisis. Tax Levy Approved: Board members unanimously approved a tentative 2007 tax levy at the meeting and announced that a hearing concerning the tax levy, required by law, will be held prior to the board’s Dec. 12 meeting, which will be held at Oakdale School, 601 S. Adelaide Ave.
Jim Gillmeister, Unit 5’s chief financial officer, reminded the board that approving the tax levy is important because monies obtained through the levy account for 90 percent of the district’s total budget. Minimal Enrollment Changes: There were minimal changes in the district’s enrollment figures between October and November. The population figure for the district’s 15 elementary schools dropped by just 15 students, while populations of the district’s two high schools shrank by one student. Ten new students joined the junior high ranks over the same period. In one-day comparison figures, calculating student populations for Oct. 31 as compared to the same day last year, Unit 5 had 12,453 students enrolled in its elementary schools, three junior highs and two high schools. That is 323 more students for the same day last year – an increase of 2.66 percent.